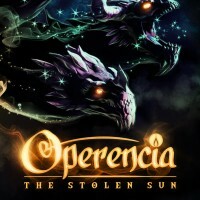 Operencia: The Stolen Sun is an RPG game created in the style of old dungeon-crawlers, with a jumping motion system and turn-based battles. Operencia: The Stolen Sun is an RPG game combining old-school mechanisms with modern graphic design. The production was developed by the Zen Studios team, known mainly from the Pinball FX series. The action was set in the magical land of fantasy, but instead of typical Tolkien realities we get a world based on elements of Central European folklore rarely seen in games. In the land created by the authors we can find fantastic versions of many real locations (such as the Hungarian village of Bálványos or the castle in Deva) and people (including Attila), as well as characters from myths. The story begins when the Sun King Napkiraly is abducted by an unknown force and his kingdom becomes the target of an evil invasion. Our task is to save the land and the monarch. In terms of gameplay mechanisms of Operencia: The Stolen Sun refers to classic dungeon-crawler RPGs, popular at the end of the 1980s and in the first half of the 1990s. The events are observed from the first person perspective, and the movement takes place in a jumping manner. During the adventure we command a team of up to seven heroes, and we fight in turn-based system. While having fun we explore the world, develop characters and fulfill our tasks. The game is enriched by numerous logical riddles. The authors have prepared thirteen extensive levels and more than fifty types of enemies. Operencia: The Stolen Sun also allows for a great deal of freedom in configuring the difficulty level, allowing you to activate the permanent death option or limit the possibility of saving the state of the game. In Operencia: The Stolen Sun old-school gameplay mechanisms have been combined with modern three-dimensional graphics and a convenient interface, allowing, among other things, to enable automatic map creation.